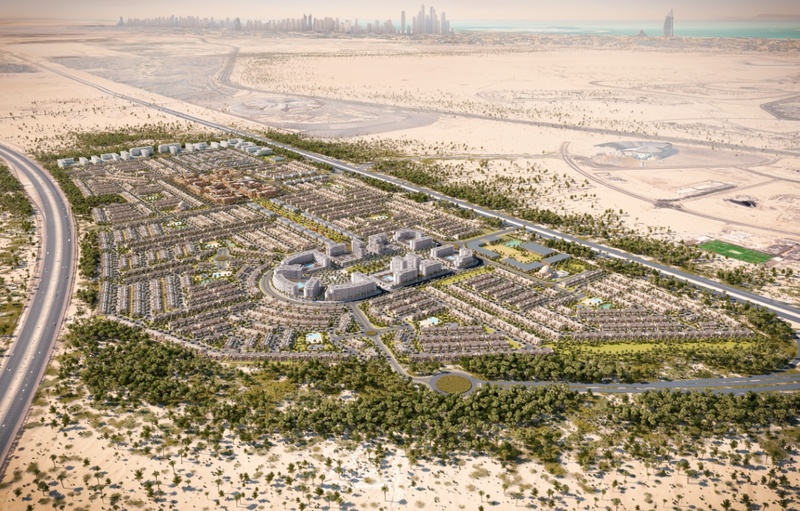 The Village At Dubai Ranches is the focal center of a new 214 Hectare (9,000 Unit) Master Planned Community located about 15 kilometers South of Burj Khalifa. 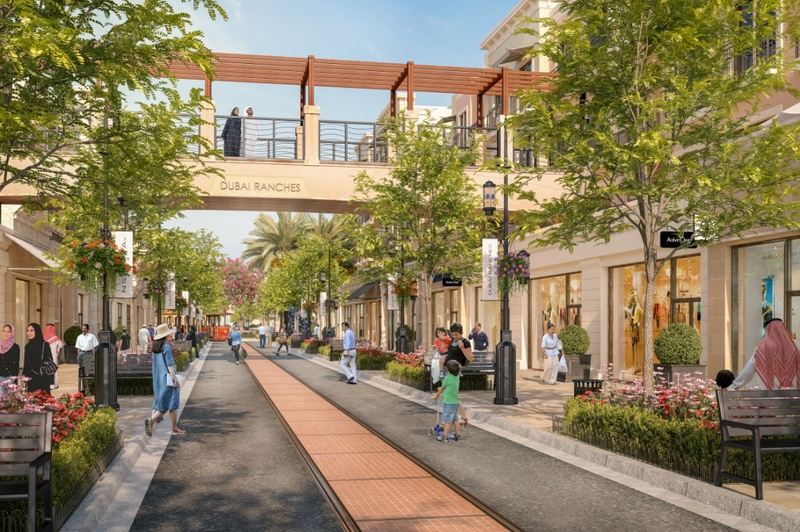 The Village Core comprised of approximately 1,000 units (on 10 Hectares) are located above a central 18,000 SM (200,000 SF) retail promenade reminiscent of contemporary outdoor malls in Los Angeles. 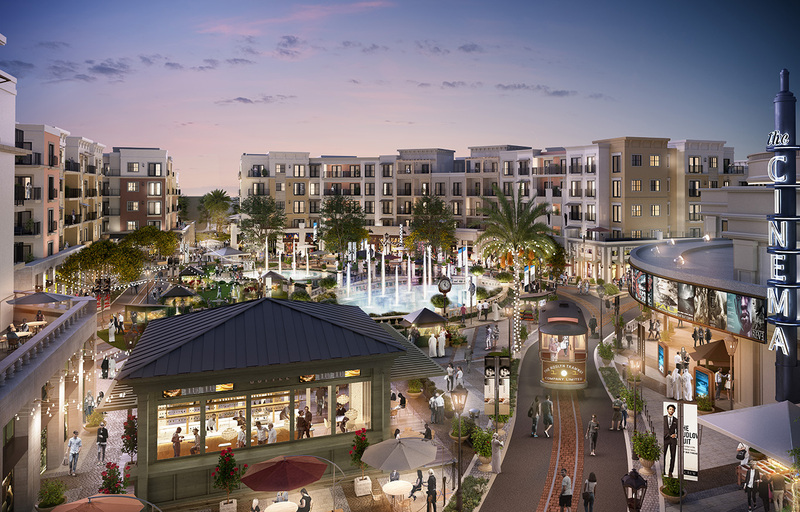 Special features will include a central plaza and water feature, a cinema and hotel, trolley cars on tracks, lavish landscaping, and numerous restaurants and retail shops. The residential units will have second level pools, gardens, gyms and social spaces for their community benefit, with parking on ground floors and elevator access. A central 5 level parking garage will provide for the retail parking, shielded by ground floor retail and residential above. This Village Core will serve as both a community center and a regional attraction for a dynamic mixed-use retail, entertainment and residential complex.